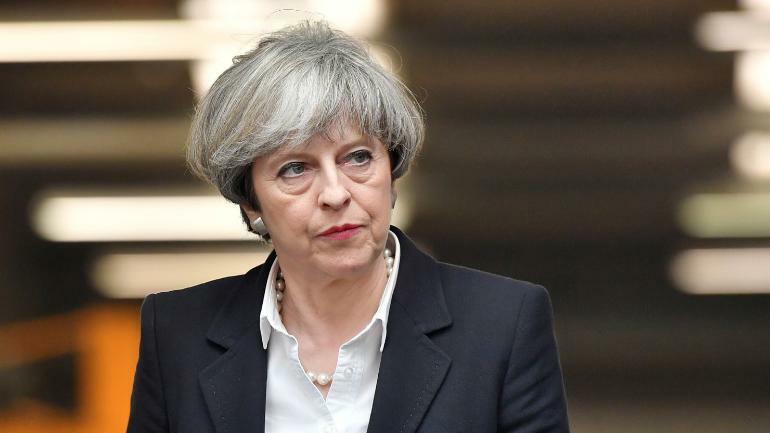 While May did not offer an absolute apology, she told the British parliament: "We deeply regret what happened and the suffering caused by the massacre." May's comment come at a time when India prepares to mark the 100th anniversary of the massacre on Saturday. This was in response to the motion moved in the parliament by Bob Blackman, Tory MP for Harrow East, London. On the floors of the parliament, this debate was attended by over 20 MP's from across the party who passionately supported the need for an apology on the centenary of the tragedy this year. Demands like this have been made not only by the diaspora but also by members of parliament. However, every time the narrative ends just short of an apology. On her visit to the site of Jallianwala Bagh eight years ago, the Queen had removed her shoes. Former British Prime Minister David Cameron has also called the Jallianwala Bagh massacre a "deeply shameful" incident during his visit to India in 2013. However, even Cameron did not offer an absolute apology. Whatever be the side of the debate, the incident has not made its way to the text books in the UK. Along with an apology, this is another demand that people of Indian diaspora have been asking the UK government to formalise. Along with an apology, Bob Blackman has also proposed for the planned museum on the sight to be funded by the British government. None of the above though seem to have gained much momentum amongst the official quarters as yet. The Jallianwala Bagh massacre on April 13, 1919, where British troops fired mercilessly on innocent protestors, is a reminder of the oppression of Indian people during the British colonial era. While official Colonial-era records show that about 400 people died in the massacre in the northern city of Amritsar, the Indian count pegged the death toll closer to 1,000 people, including men, women, and children. Kamboj community at large feels proud that Udham Singh Kamboj killed Michael O' Dwyer on March 13, 1940 to avenge the Massacre. He sneaked into Caxton Hall, London where Michael O' Dwyer was scheduled to speak at a meeting. He shot O' Dwyer twice and didn't try to flee or resist his arrest as he had fulfilled his vow he had taken on April 13, 1919, to avenge the Massacre. All India Kamboj Mahasabha had written numerous letters to Punjab state government and central government to seek a formal apology from the British for the Jallianwala Bagh massacre in the past several years. KambojSociety has also started a campaign on social media for seeking an apology from the British government on the 100 years anniversary of Jallianwala Bagh massacre. Please JOIN and SUPPORT this campaign of KambojSociety.